Matt Thorsen is a descendent of the Norse god Thor – and that’s a hard legacy to live with. His overachieving older brothers and exacting parents made life difficult – and that was before he became a champion ordained to fight Jormugandr at the upcoming Ragnorak. Now Matt, and the descendants of the other gods, must make a hasty alliance in the hope of being ready for the coming conflict – and maybe telling the old stories differently this time. Concept-wise, I am sold. Sign me up for the whole series! Execution-wise… not so much. I did find the book just a bit… simple. It’s not that it’s badly written or the characters are poor or that the plot is bad – it’s just it’s all so very… simple. Everything just feels kind of easy and kind of linear. Personal conflicts and histories are touched upon – like Matt’s betrayal by his family or the conflict of their impossibly high expectations or the whole conflict of going against authority when he’s the sheriff’s son – but they’re not developed. They’re just kind of there, like some back story has been splashed onto the characters to fill in the gaps but it’s not gone into any great depth or detail. And I can kind of see how it’s shaped the characters but not to any great depths. Ongoing conflicts with the characters – like the twins suspicion or Matt and Fen’s rivalry seem to just… resolve. Fen’s conflict with the wulfenkind packs causes some short term angst and then – resolve. Again, nothing stands out as badly written or handled it’s just the conflict isn’t all that conflicty. The closest we get is a little twist at the end, but even then it’s not that twisty nor does it last a great deal of time. The plot is really linear. Matt learns about his legendary destiny/fate/quest then happily stumbles over some norns who give him cryptic clues leading to the next step, where he meets Valkyries that happily point them the next way. Each step of the way is very clearly laid out (albeit somewhat convolutedly at times to create extra steps in the chain), usually with pretty clear instructions over what to do next – so they go do it. Even after convenient Norse beings stop dropping in to give step by step instructions, Laurie develops a power that removes the whole searching element from the quest. The twins, when they meet them, are somewhat suspicious and that looked like it would be a more involved element of the story but even then the suspicion was pretty much put aside in favour of a fight scene and the twins just kind of attach themselves to the party without any real development of them, their concerns or anything else. This book isn’t badly written, I want to stress that. The action flows, it’s not over descriptive. But it is so linear – Matt has a quest to find the other god-descendents. But because of the plot he doesn’t have to look for them, he doesn’t have to track them down or go through any real steps to identify them and he doesn’t even have to convince them to join him. So all he has to do is… travel? And even then not so much because of another plot element. This leaves us with “Matt looks for kids. Matt finds them. Matt has kids” with little in the way of inter-character drama to fill much of the gaps. We have musing from Matt and Finn, but it’s not exactly rich and conflict laden, given the revelations. What does fill the gaps are action scenes – fighting numerous mythological monsters takes up a fair amount of page space. In terms of marginalised issues – well, this book is heavily erased. The entire cast, main characters, side characters et al are all white, cis, straight, able bodied people; I think at most an unnamed security guard they passed briefly may have been a POC, but even that is shaky and it’s not like they got to speak. There are no minorities in this book and a sizeable enough cast that it stood out. Laurie has a somewhat fraught relationship with Matt and Fenn. Both of the boys are very very protective of her, constantly trying to “keep her safe” and even send her home to get her out of trouble. 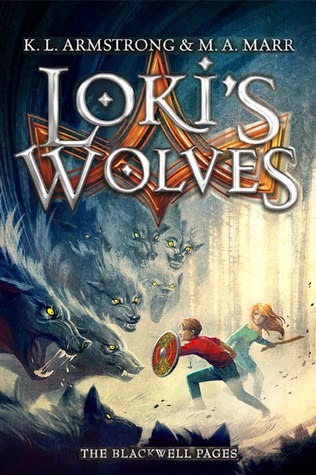 Finn, in particular, is protective in that classic patronising way that so many werewolves in the genre have to be. Laurie rejects this repeatedly over and over, asserting her skills, her good ideas and her valuable contribution – and she is certainly valuable to the group. Matt also realises they’ve tried to wrap her in cotton wool so often that she’s actually unwilling to listen when there’s actual danger – he recognises that his sexism is foolish and destructive. The flip side is that Fenn’s protectiveness is, to a large degree, shown as kind of sweet and helpful especially as he stands between Laurie and the wolf pack (which she is protected from to such a degree she doesn’t even know it exists). I also would like to see some of the female god-descendants with more active and less supportive powers; not that their powers are less or less important – but when Matt and Fenn are constantly trying to keep Laurie out of trouble it would be nice if she had special abilities that could help her stand shoulder to shoulder with them. I also kind of want to know what all these Viking descendants are doing in South Dakota and how everyone doesn’t just laugh at the idea of a Viking longship in the middle of town? They must have moved that thing for miles to get it from any coastline.